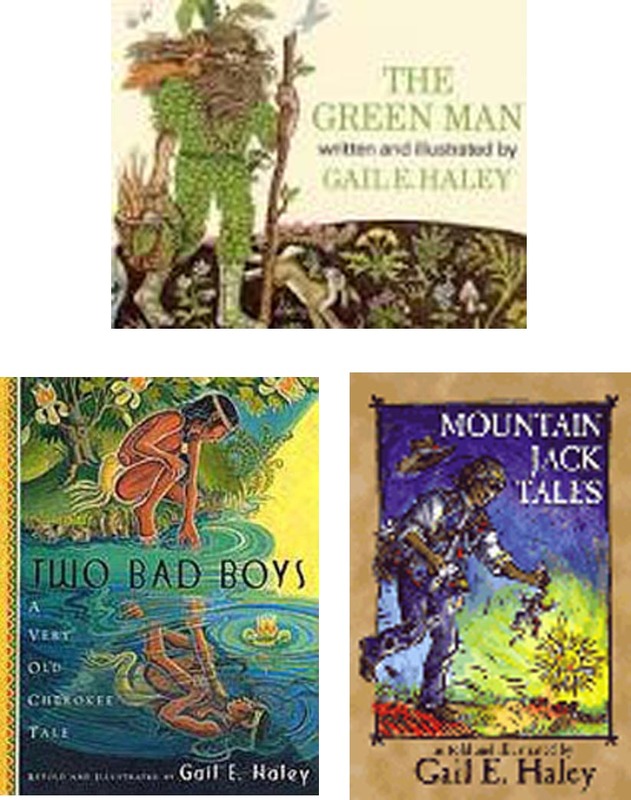 From Celts (THE GREEN MAN) to Cherokee (TWO BAD BOYS) to Appalachia (MOUNTAIN JACK TALES), Gail Haley’s stories told in pictures and print celebrate cultural diversity. The only person to have received both THE CALDECOTT MEDAL (A STORY, A STORY)and England’s KATE GREENAWAY MEDAL (THE POST OFFICE CAT), Gail Haley brings a unique understanding of the art of storytelling to the children in your classrooms and media centers. Take your students behind the scenes in the process of researching, writing and illustrating children’s books. Examine original art, preliminary sketches, book dummies. Watch a demonstration of linoleum cutting or other illustration techniques by this acclaimed artist. Host a book fair and autograph session. Listen as an author critiques student’s stories. Meet Gail Haley’s puppet creations.